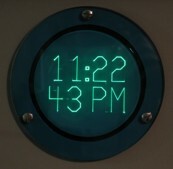 Electronic Vector Clock Page. Click on pictures to get larger/higher quality images. 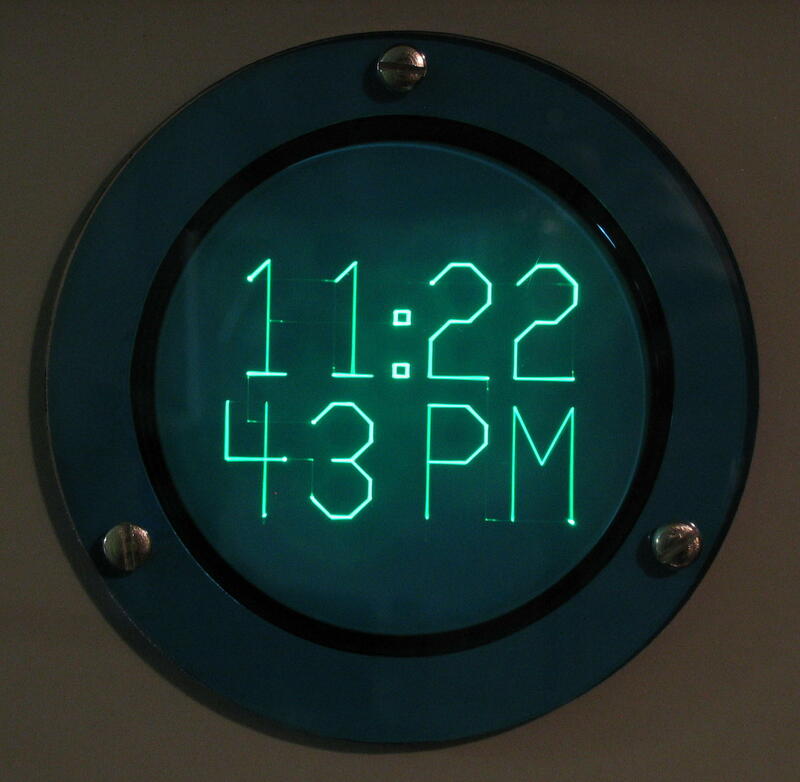 This is an electronic digital timepiece that presents an "analogue" look. 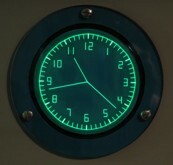 It uses vector graphics to draw a traditional clock face on a small electrostatic-deflection cathode-ray tube display. 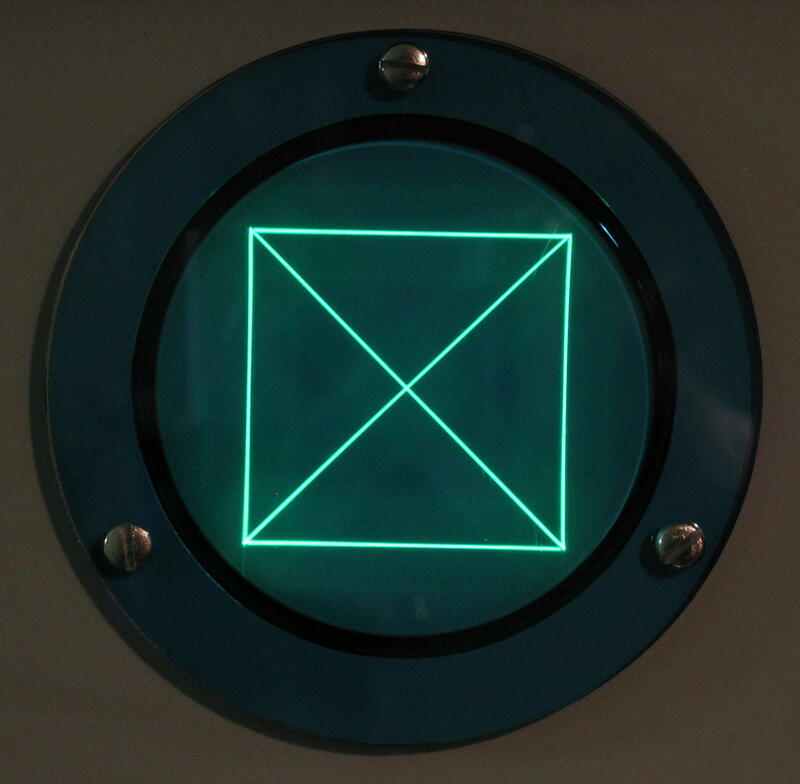 « Here's a close-up of the unit's CRT screen, showing the standard 12-hour format. « It can display "digital," too! « Or, if you prefer, 24-hour mode! 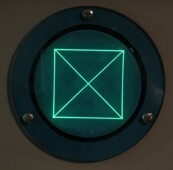 « Here is the built-in calibration pattern. 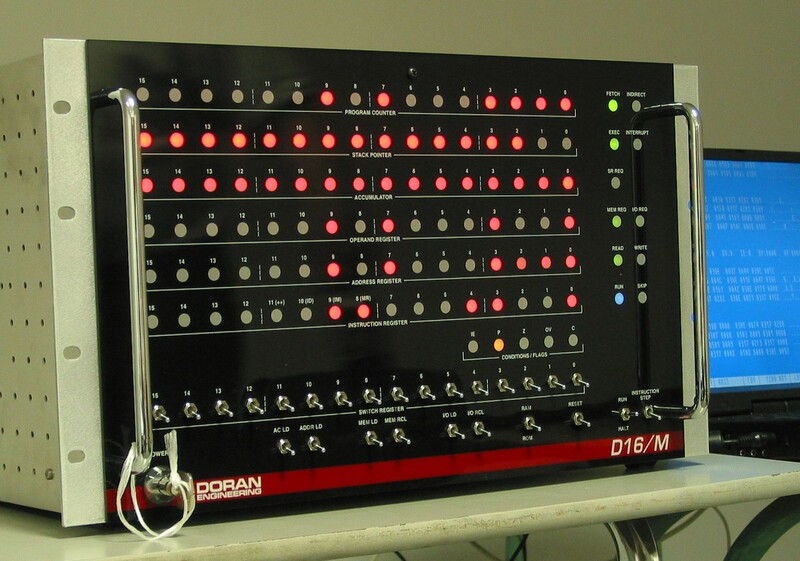 « This photo shows the entire front panel, with the operator controls. 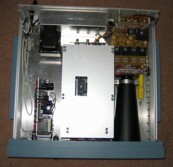 « This is a top view with the cover off. 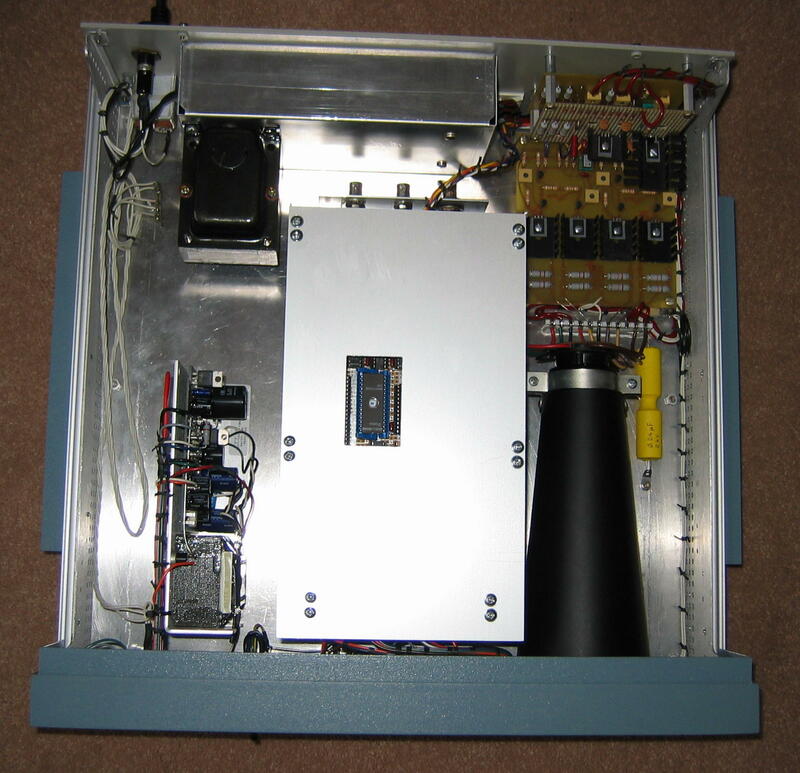 The large rectangular structure in the center is the card cage; note the access hole for the firmware EPROM. 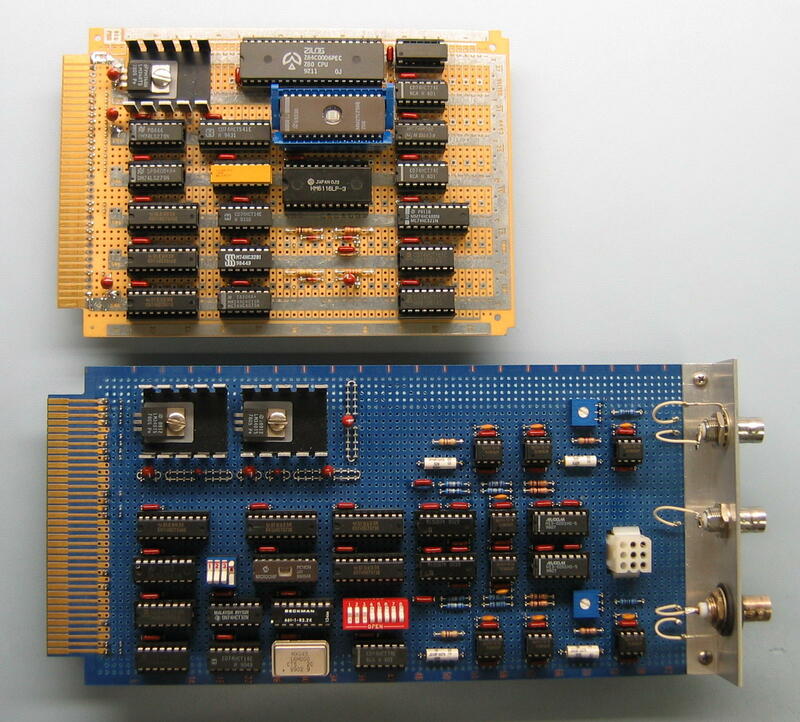 On the left is the low-voltage power supply, at the top left is the high-voltage supply, and on the right are the CRT bias circuits, the deflection amplifiers, and the CRT itself. The big loop in the power wiring (on the left) allows the rear panel to be swung out for access to the card-cage. 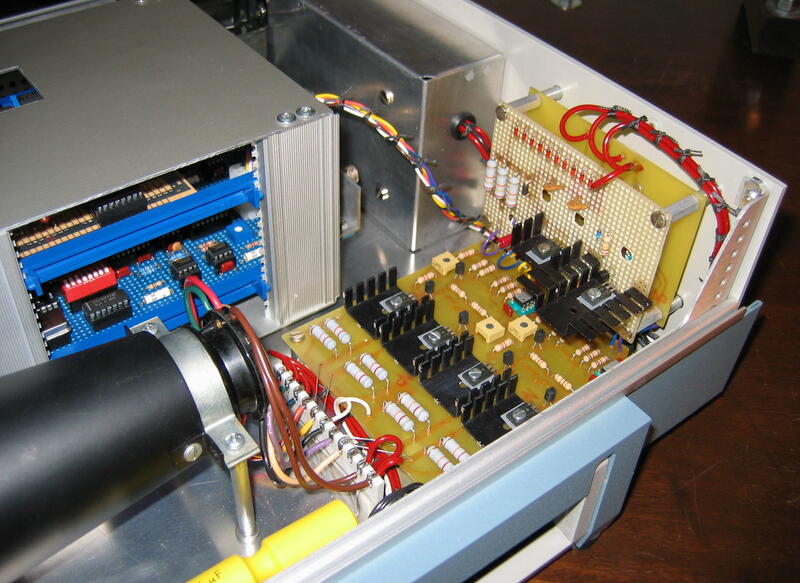 « Here is an oblique view of the interior at the right rear of the unit, showing the boards in the card cage, the deflection amplifiers, the Z-axis modulation circuits, the CRT bias circuits, and the socket end of the CRT. The ceramic terminal strip was cannibalized from an old Tektronix oscilloscope! 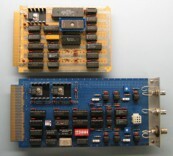 « These are the control computer (top) and vector graphics generator boards, removed from the card-cage. 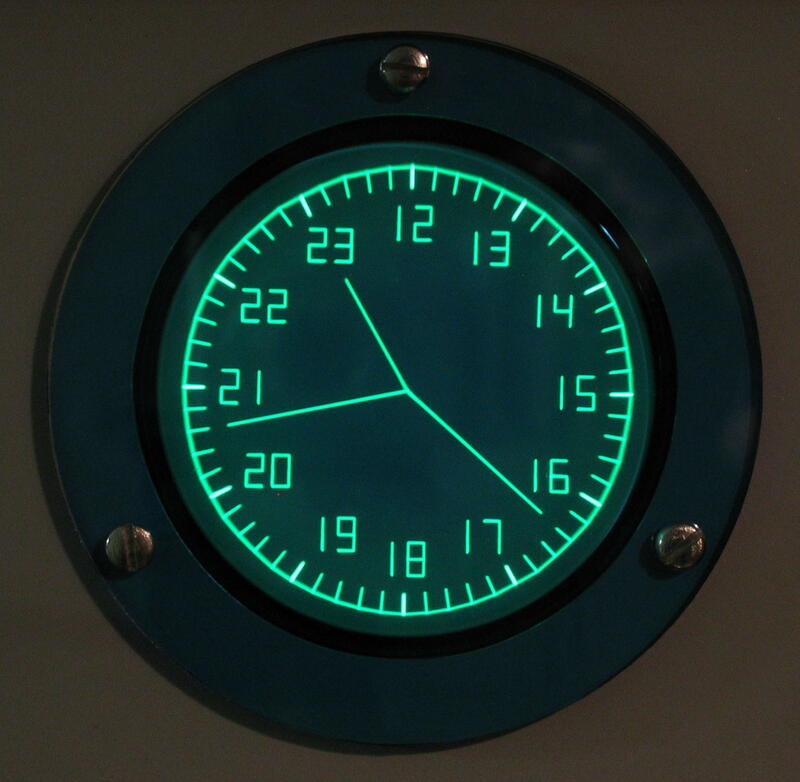 Here is the Electronic Vector Clock documentation and firmware. The schematic diagrams are in Adobe PDF format; other files in formats as indicated. 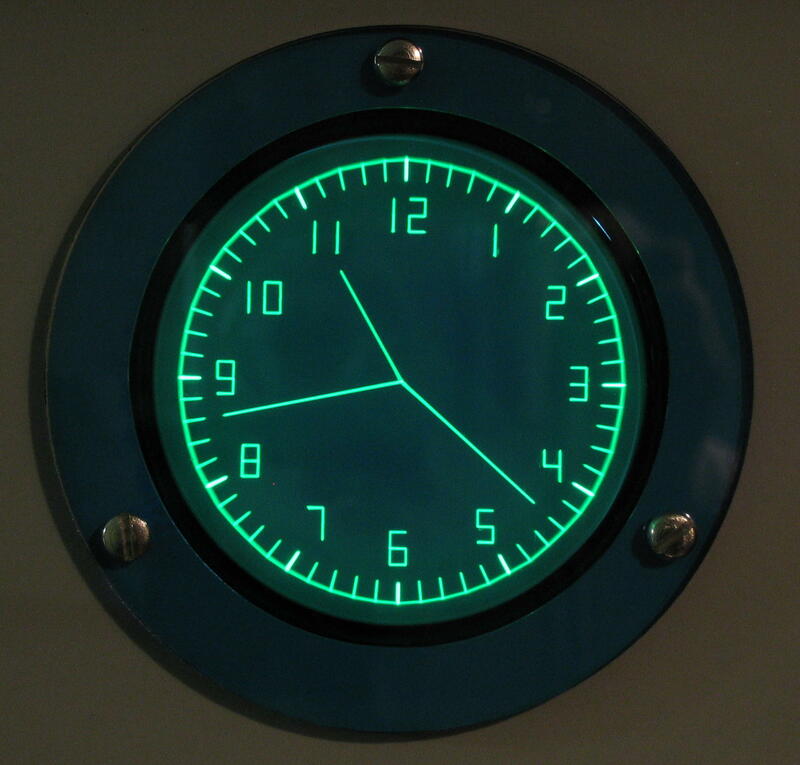 VECTCLK_SCH Schematic diagram of the clock's "mainframe." CTRL_SCH Schematic diagram of the clock's embedded control computer board. VECTGEN_SCH Schematic diagram of the clock's vector graphics generator board. z80.asm (ASCII) Source code for the control computer firmware. z80.rom (BINARY) ROM image of the control computer firmware. pic.hex (HEX) HEX file for the vector generator timing controller firmware. 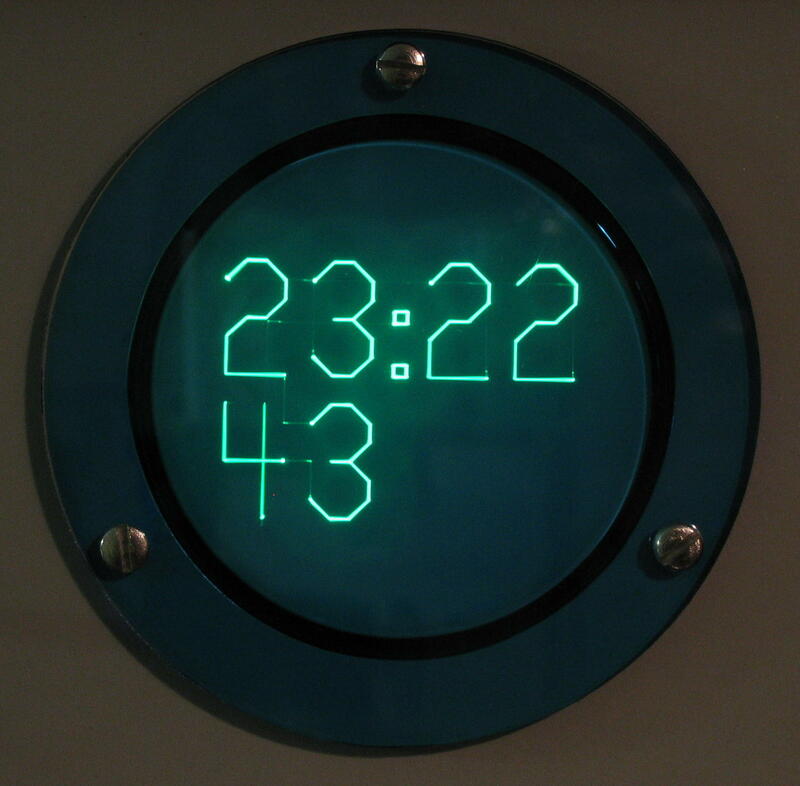 clock_design_notes (HTML) Electronic Vector Clock Design and Construction Notes.